This is the new PSP Go. Wonder how it’ll play? Don’t worry. We’ll get our hands on it soon. E3 is just a few days away right? Here’s a comparison of the PSP Go vs PSP Phat. Sure the screen is smaller but not by a lot. The differences in the layout is quite remarkable though. The original PSP buttons are gone (display, sound, volume) but the new interface is actually much more appealling. The only issues that I see with the new PSP hardware is the proximity of the back of the screen to the shoulder buttons. If you’re too close, you’ll end up rubbing your fingers against it making gameplay irritable. Then there’s the size. From experience, past PSP models are admittedly bulky, not because of their weight but because of their width. Because of the orientation of the controls (on both sides of the PSP), your hands tend to hold the unit there making the bulk issue. The PSP Go has it’s controls at the bottom of the unit, making it feel much more like holding a controller but it’s still a matter of personal preference. Aside from Wifi, the PSP Go also carries bluetooth connectivity. This replaces the IR from the Phat series and adds an additional networking capability that was lacking in the Slim and Brite. 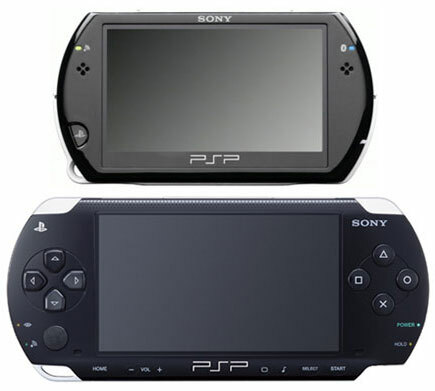 For those interested in comparisons, here’s how the PSP Go compares to the PSP Phat. And here’s the requisite PSP Go vs Nintendo DSi comparison. And before you it enters your mind. NO, the PSP Go is definitely not CFW-able. At least not yet. Game sleep function: You will be able to operate the XMB™ (XrossMediaBar) while suspending the gameplay temporarily. Yes, you read that right. It’s SensMe not Sense Me. What is it? SensMe is a new music application made specifically for the PSP, allowing you enjoy your favorite music via a rich UI. It also offers music recommendations via SensMe channels, a mood based music recommendation system that categorizes music content into channels such as “Relax,” “Dance” and “Upbeat,” and recommends music playlists for users. SensMe channels also supports PSP-1000/2000/3000. All upcoming PSP titles will be available in digital and UMD format. The PSN will offer TV shows and movies for download, free and paid. Media Go be bundled with the PSP Go. Media Go is the replacement for the Media Manager. It’s an easy to use application for the PC that makes it simple for you to browse PlayStation Store, as well as organise and store all your PS Store related downloads (games, demos, music, etc). Think of it as an iTunes for the PSP. 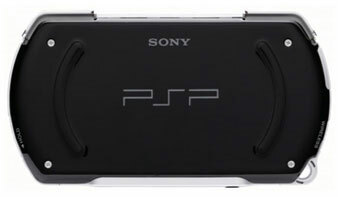 The Media Go will be compatible for the PSP Go, PSP-1000,PSP-2000, and PSP-3000. UPDATE: Eurogamer confirms that it’ll be out by fall this year but no word on pricing. If you can’t transfer your UMD games to the newer psp’s (with no umd drives) I’m going to become such an evil pirate. 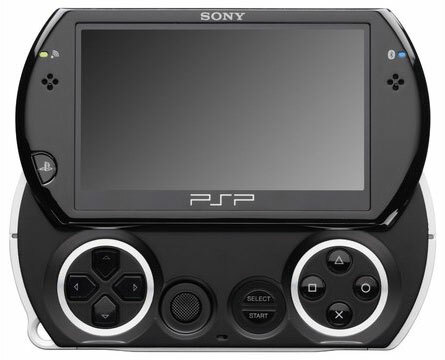 Then can the games used on PSP slim be used on this PSP Go? PSP Go looks horrid. xD If you’re the type who’s on the lookout for what’s the latest (and can afford to buy games), just wait for PSP-4000 aka PSP2.